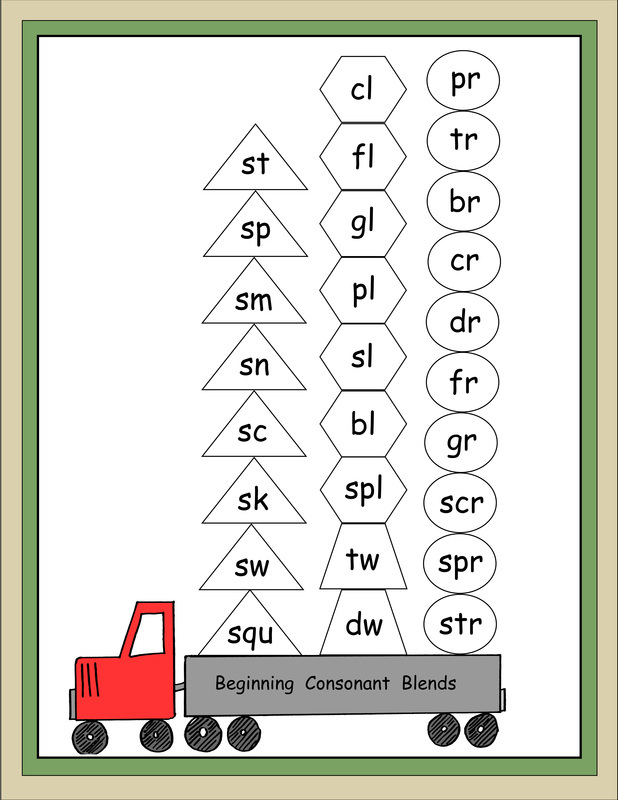 Read Parts 1 and 2 of the Sound Story aloud to the students and practice saying ​the sounds for the sound pictures before introducing the following charts. 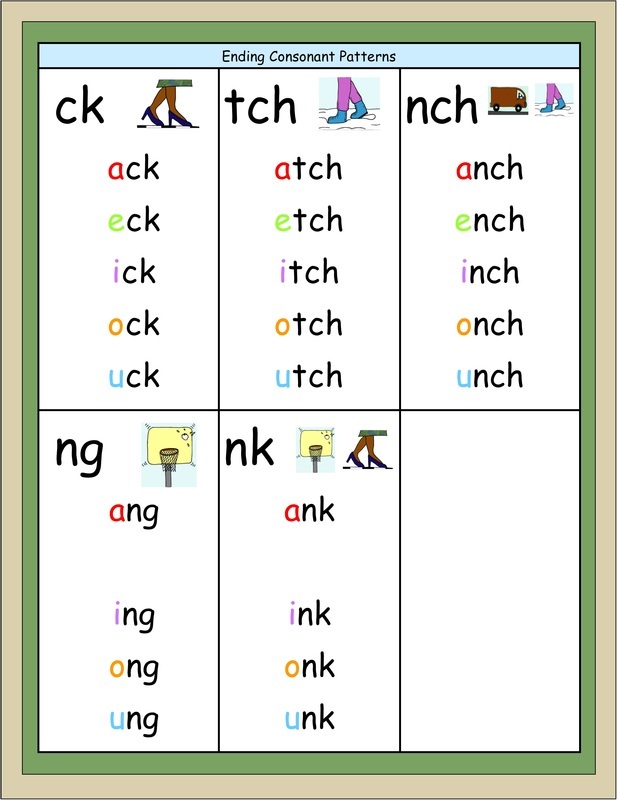 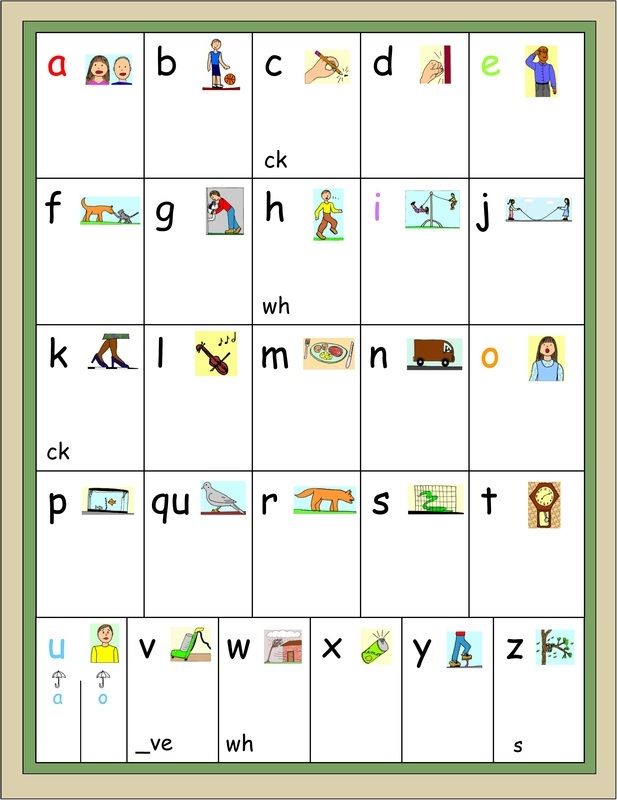 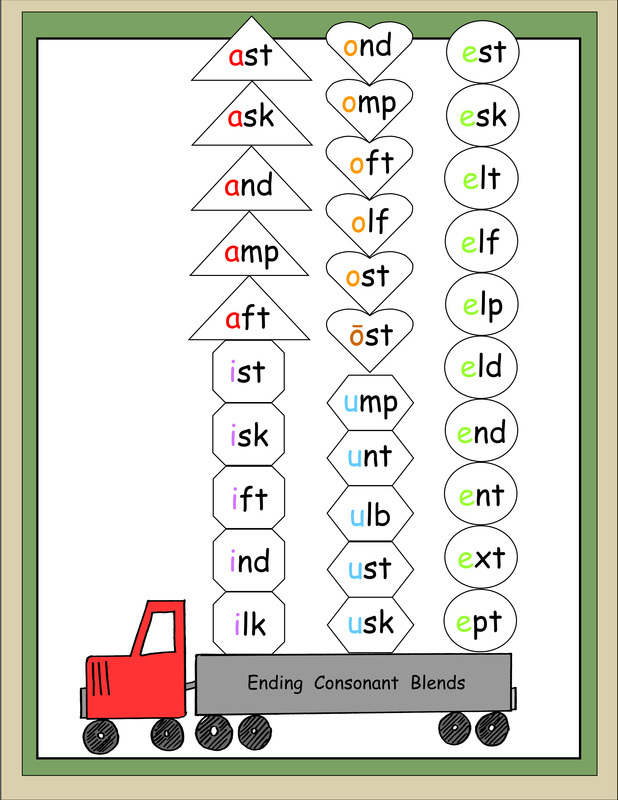 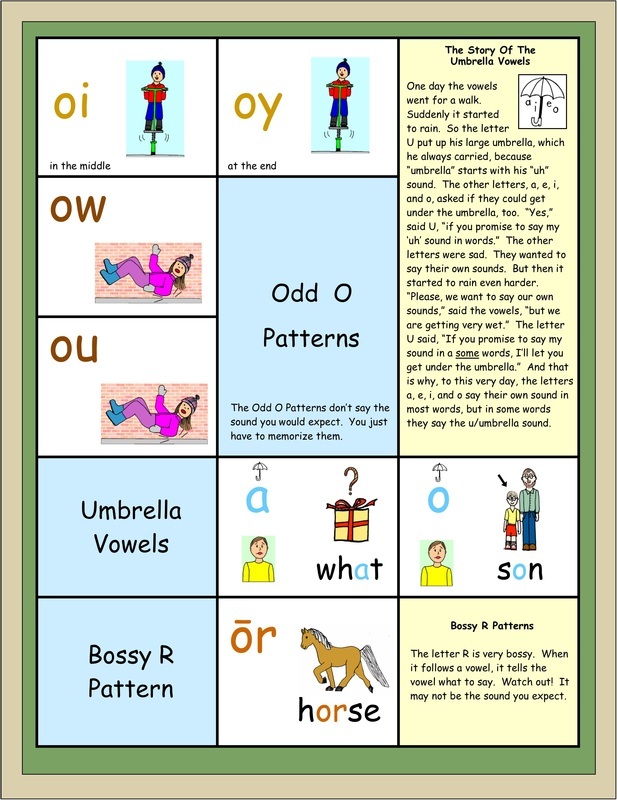 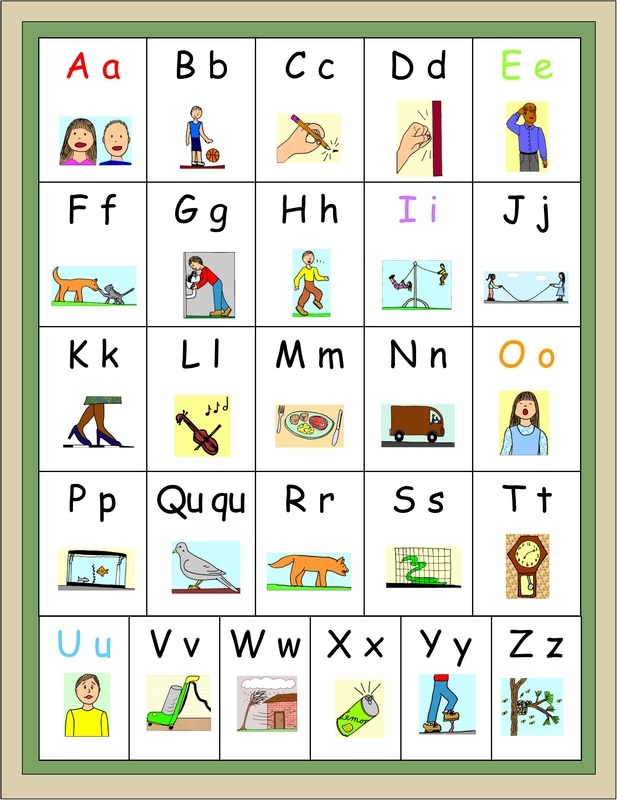 Students will practice saying the sounds for each letter or letter pattern from the charts and from flashcards. 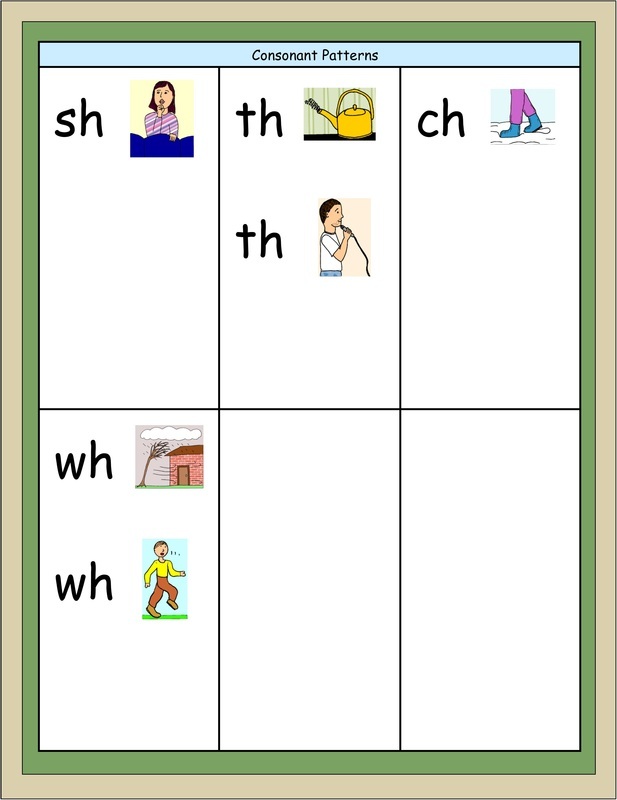 When saying the sounds on the charts, the picture cues will help students remember the correct sounds with confidence. 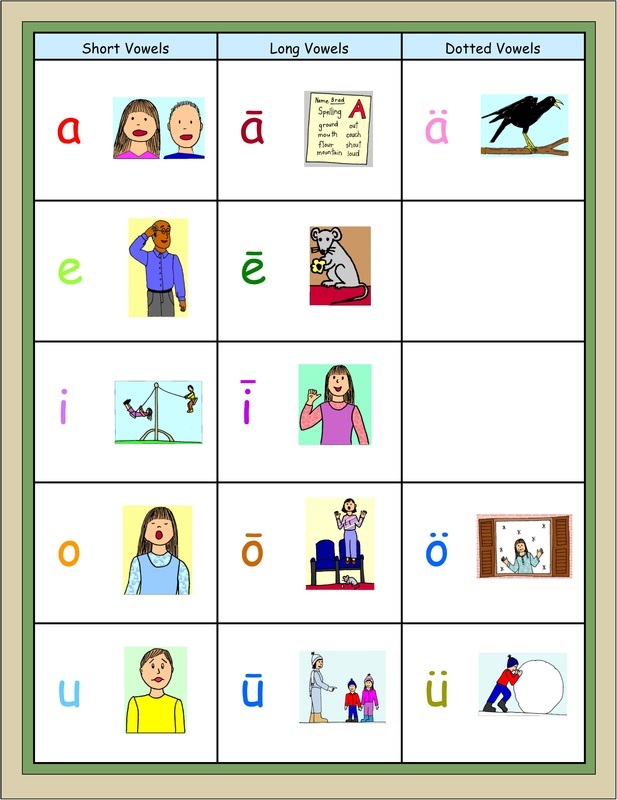 When saying the sounds from flashcards, students will have to remember the sound without help from the sound pictures.